You may not think of Napa Valley when you're planning a trip with the kids. The mere mention of California's legendary wine-making region in Napa Valley may conjure up visions of adult activities such as wine tasting and fine dining. But don't write Napa off just because you're taking a trip with the kids. The area also has much to offer for a family getaway. You can make any of the Napa Valley towns a base for family fun, but we suggest settling down in Calistoga. It's a quiet town in Napa's north end, where you can walk to many attractions from your hotel. It's also close to several of the activities listed below. Safari West offers tours that combine a walk around their wildlife compound with a jeep safari tour to see antelope, zebra, wildebeest, and dozens of other animals roaming the wine country foothills. You can even stay overnight in their safari-style tent cabins. There is no charge for children aged two and under as long as they do not require a futon to sleep on. Children must be four years or older to participate in the entire Classic Safari, but the walking portion of it is fine for kids of any age, even toddlers. If you ask for a private safari, you can take younger children along, but you should know that there are no seatbelts on the trucks at this time, the ride can get bumpy, and you will ask you to keep children under three on your lap and hold on to them. Ace wizard Harry Potter himself couldn't have done a better job of turning trees into stone than Mother Nature did at the Petrified Forest. Hike through the woods and discover how water and silica transform wood into rock or just say: "Wow! Would you look at that?" Kids and adults alike are fascinated by the Old Faithful Geyser, which erupts as regularly as its more famous cousin in Wyoming, but it costs as much to see as a night at the movies. And their once-fun fainting goats have gotten so used to visitors that they rarely live up to their names, no matter how much you try to scare them. 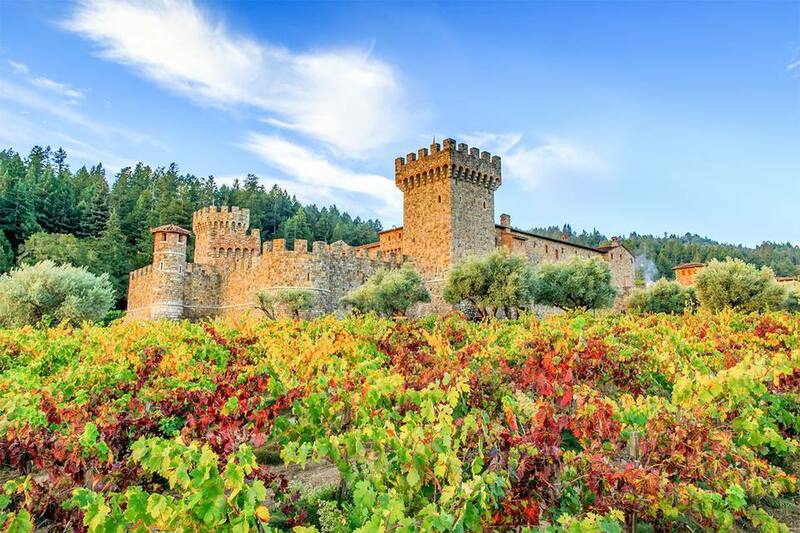 If you'd like to do a little wine-tasting, try Castello di Amorosa. The tour of the big castle is lots of fun, and many kids love their dungeon. They charge a reduced admission fee for youngsters and provide juice for them to enjoy while the adults sip wine. Have a Mini Moment at Jamieson Ranch. Kids of all ages can interact with the miniature horses at JVR. When they aren't busy being therapy horses in the community, they entertain guests at this one of a kind wine experience. If your child tends to get overly excited around animals, it may not be wise to bring them. Because the "minis" are so adorable, you may have to remember it is a wine tasting, not a petting zoo. Sterling Vineyards is also a good option, with a tram ride to the hilltop and a self-guided so you can go at your own pace. Clos Du Val is a wonderful place for an authentic wine country lunch for your family. Sit in the olive grove, reserve a table, grab a bottle of wine, and have a basket filled with delicious local food. The town of Calistoga hosts one of the most old-fashioned Christmas parades anywhere, featuring farm equipment decked out in lights and carrying everything from kids to Kris Kringle. You're probably going to opt for kid-friendly places where a little bit of noise may go unnoticed, and you won't find a better place for that than the Oxbow Public Market in Napa. It has enough food stalls to satisfy almost any picky eater and plenty of tables to sit at, inside and out. A picnic is also a good option on a sunny day. You can pick up food items at Oxbow Market, Oakville Grocery on Route 29 or the Sunshine Market in St. Helena. If you picnic at a winery, it's only polite to buy a bottle of their wine - even if you don't drink it on the spot. Gott's Roadside is also a good choice, with lots of burger options and they serve Napa wines for the adults. You'll find the original Gott's (which was previously called Taylor's Refresher) in St. Helena, and there's another near the Oxbow Market in Napa.